General sale is now open for Silversea’s World Cruise 2021, the Finest World Tour. 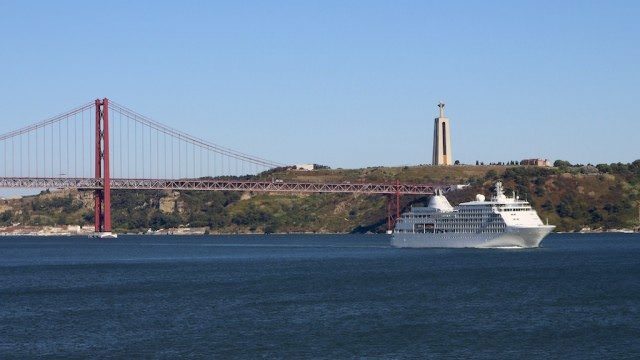 One of two Silversea World Cruises to set sail in 2021, the 150-day Finest World Tour will visit 34 countries across six continents. Silver Whisper will depart Fort Lauderdale on January 7, 2021, and will arrive in New York on June 6, 2021, having circumnavigated the Earth. Both originating and culminating in the USA, the Finest World Tour will offer a true circumnavigation. From Fort Lauderdale, Silver Whisper will visit many destinations throughout Central and South America, before departing for Easter Island. After calling at a number of islands in French Polynesia, guests will reach New Zealand and Australia, before setting sail for Bali, South Korea, and Japan. Many overnight calls in some of Asia’s destinations will allow guests to spend more time engaging with the continent’s highlights. Shanghai, Hong Kong, and Ho Chi Minh City will precede Singapore and Yangon, with at least one night spent in each destination. Colombo, Mumbai, and Oman’s Salalah will lead to Jordan, Egypt, Israel, and Greece. After sailing in the Eastern Mediterranean and the Adriatic, guests will journey to Italy, Malta, Spain, and Portugal. To conclude, an Atlantic crossing will lead to Bermuda and the voyage’s finale in New York City. The World Cruise 2021 will feature two new Silversea initiatives: Dine Around Town, which will offer guests the chance to indulge in a ‘meal on us’ at fine restaurants in their choice of two of five cities; and Your Day Your Way, which will enable travelers to travel deeper on their own or with friends, accompanied by English-speaking guides and transported in private sedans or minivans. Fares for the Finest World Tour 2021 begin from $65,000 per person. Silver Whisper’s two-bedroom Owner’s Suite costs $270,000 per person for the 150-day voyage. What’s Included in the Fare?